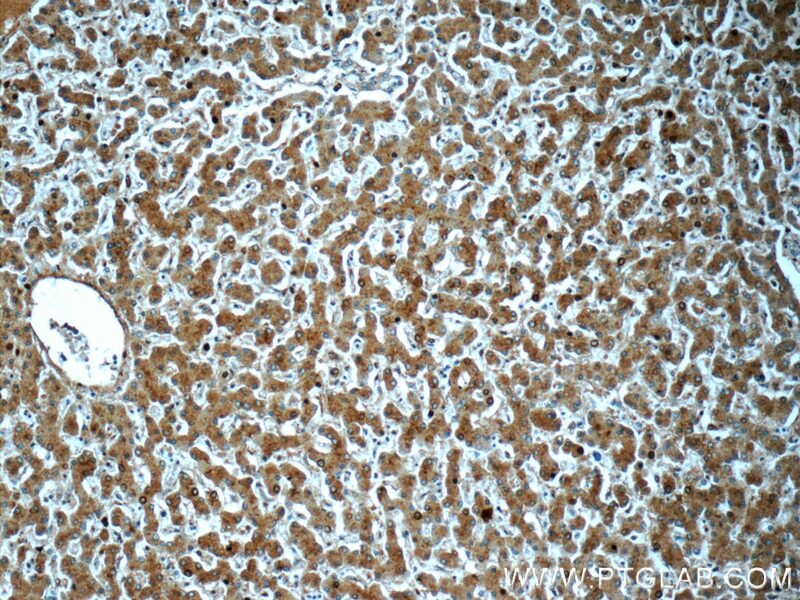 IP Result of anti-NEDD4 (IP:21698-1-AP, 4ug; Detection:21698-1-AP 1:500) with C6 cells lysate 1600ug. 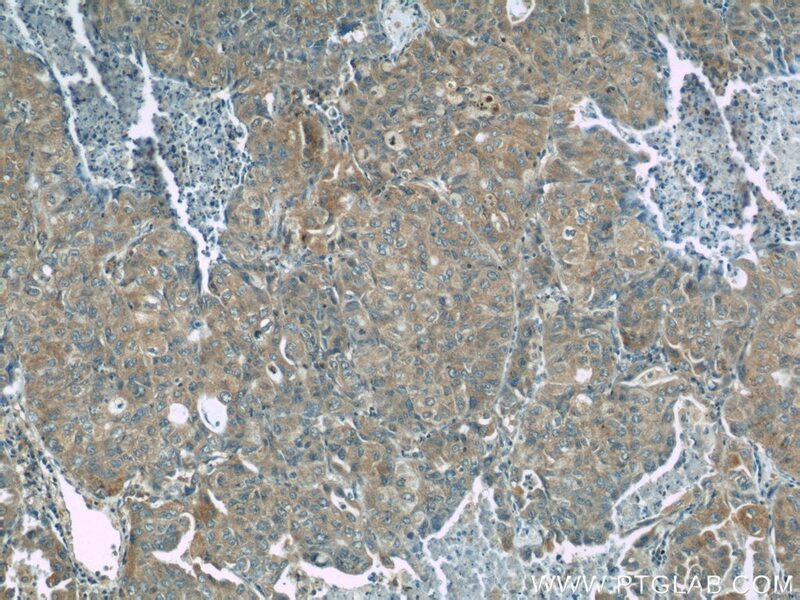 NEDD4-1(Neural precursor cell expressed developmentally down-regulated protein 4) is also named as NEDD4 and KIAA0093. 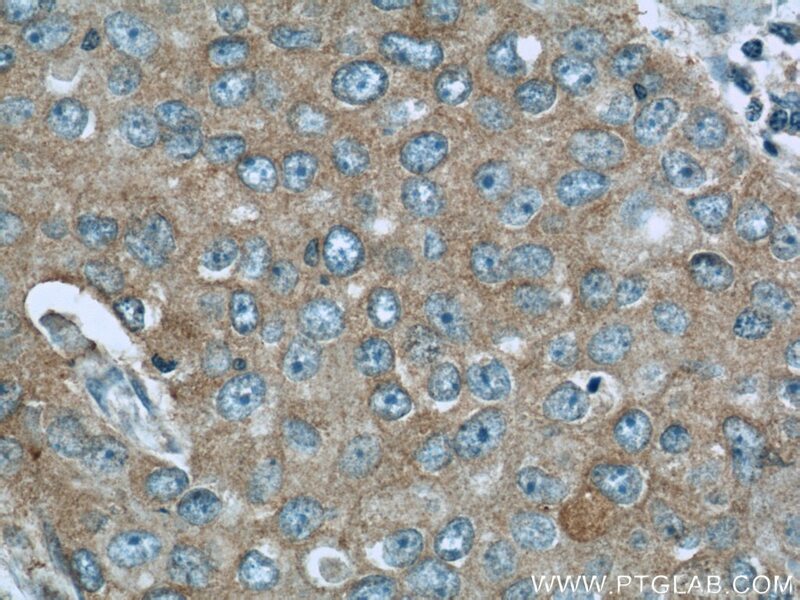 It plays an essential role for the activation of the genetic program involved in the terminal maturation stage of invariant natural killer T-cell development(PMID:21949387). 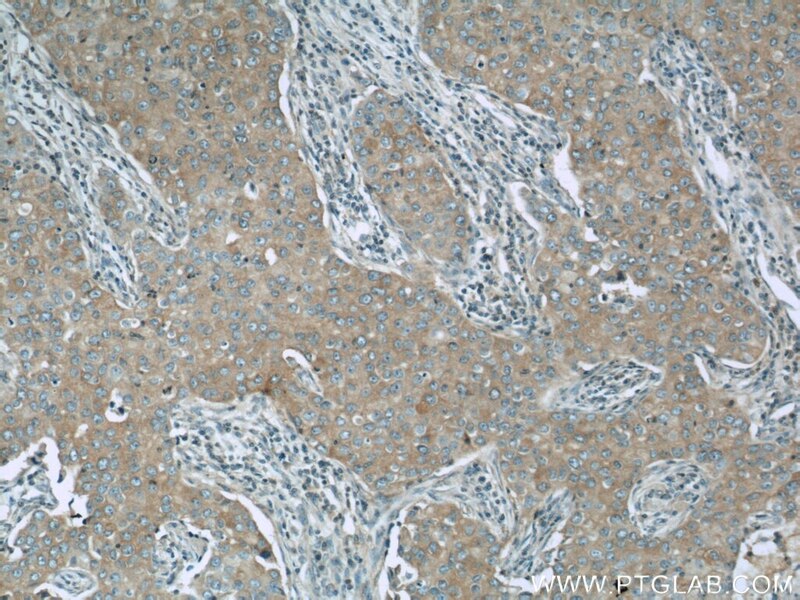 And it is differentially expressed in mammary epithelial cells and plays a role in luminal lineage determination(PMID:20351249). 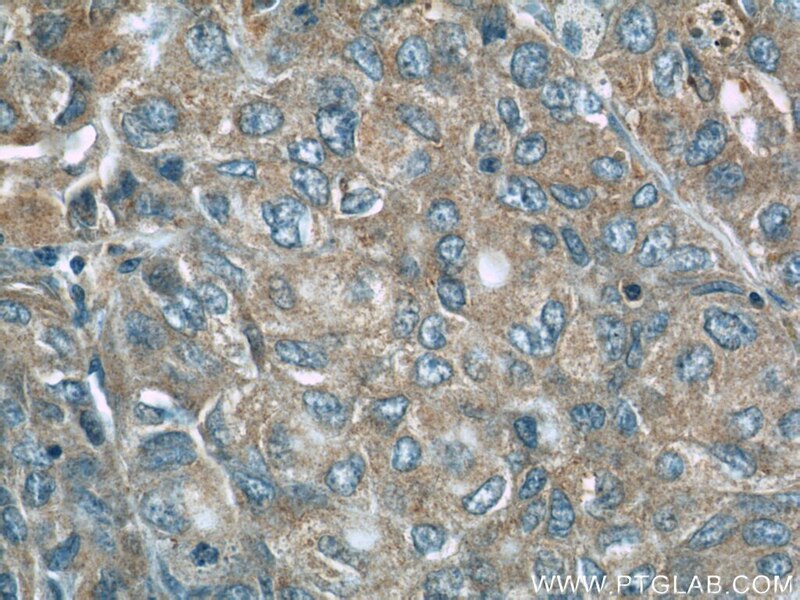 NEDD4-1 is a key regulator of FGFR1 endocytosis and signalling during neuronal differentiation and embryonic development(PMID:21765395). 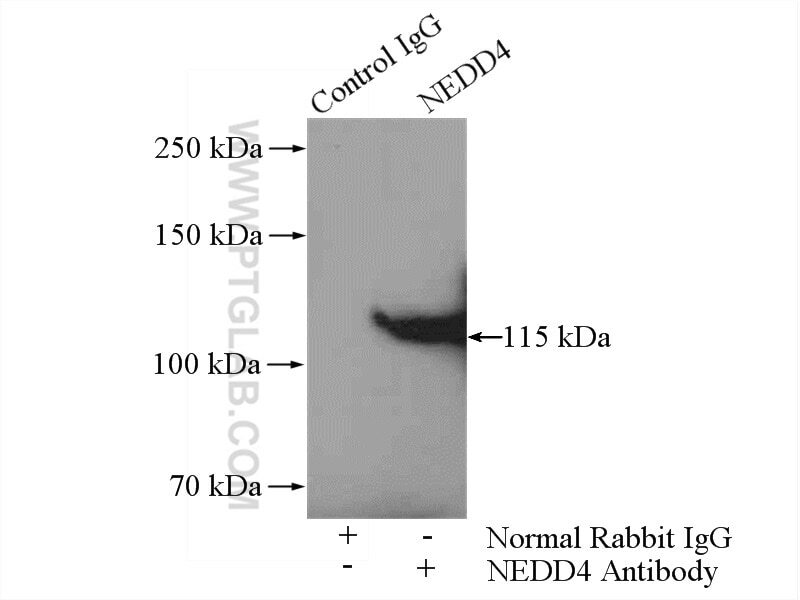 This antibody can recognize NEDD4-1 and NEDD4-2. Zbtb7b engages the long noncoding RNA Blnc1 to drive brown and beige fat development and thermogenesis. Dynamic recruitment of ubiquitin to mutant huntingtin inclusion bodies. 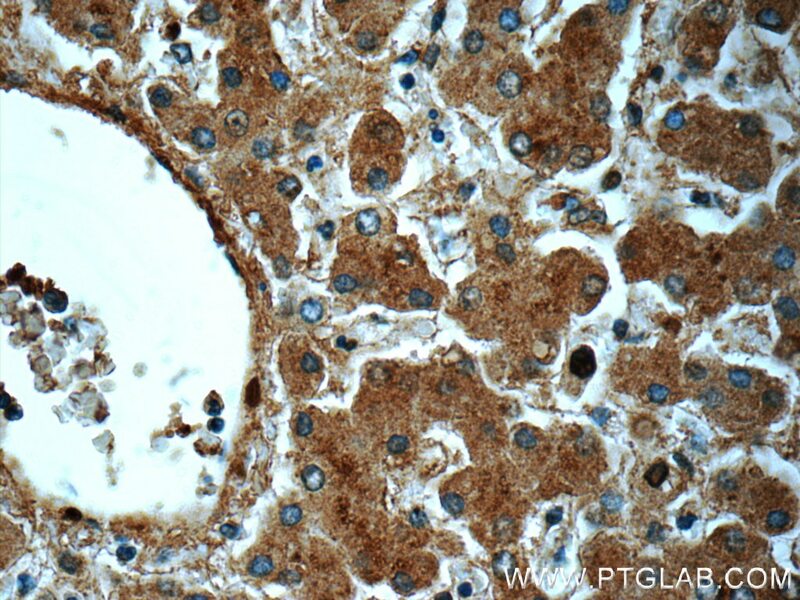 O-GlcNAc regulates NEDD4-1 stability via caspase-mediated pathway. Inhibition of ubiquitin proteasome function prevents monocrotaline-induced pulmonary arterial remodeling.